On September 11th, I was working at Manor Fire Station (with Sean Brown). We saw the news reports of the World Trade Center being struck by a plane. There was no good footage yet. I actually called my father who lives just north of the city and joked with him by checking to make sure he did not crash his plane in to the tower. He is a private pilot and we had planned to some day fly down the Hudson River and go by the trade center while touring NYC from the air. As the news coverage unfolded, all of us at the Manor Station saw the second plane hit the North Tower live. We all knew right there and then this was no accident and America was under attack. I remember Sean leaving that day, and wanting to go with him or to go to NY in some other way to help. Prior to my entry in the Fire Service I had worked a season as Park Ranger at the Statue of Liberty and lived in Manhattan with my uncle. I can remember walking home from work to my uncle’s apartment on several occasions and cutting through the lobby of the WTC. I regret, never taking opportunity to go to the observation deck while I was there. I grew up just north of NYC until I was about 14yo and still have family in the area. My grandfather who raised me as his son, is retired NYPD officer and my great grandfather retired out Engine 81 from the FDNY. 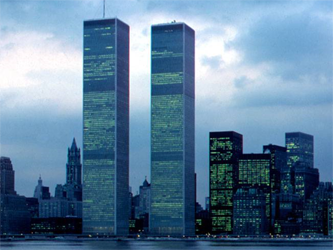 9/11 was very personal to me as it was to so many others from the NYC area. The actions of the task force at the WTC were inspiring and lead me to apply and become a member to be apart of such a fine organization. Our members showed great leadership and perseverance in the face of one of the greatest tragedies this nation has ever known. I am proud and humbled to work alongside of the members that responded to the WTC.